operation found on other top-tier EOS cameras. not result in proper camera or lens operation. occurring with the use of non-Canon lenses. : Warning for preventing camera malfunction. 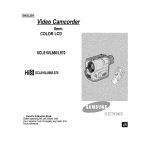 : Supplementary notes for basic camera operation. : Helpful tip for operating your camera and taking pictures. • Retain this Instructions manual for future reference. has been exposed to salty air, wipe with a well-wrung damp cloth. ( 6 ) The shutter curtains are extremely thin. Use only a blower to clean. cost) by a Canon Service Center. either case, the display will return to normal at room temperature. battery power is low, replace the battery. ( 2 ) If the battery power is normal, remove the battery and reload it. ( 3 ) Release the shutter once. malfunction. Take it to your nearest Canon Service Center. (1) After replacing the battery. (2) After not using the camera for an extended period. (3) The shutter does not work. (4) The camera is being used in a low-temperature environment. (5) Before using the camera for an important event. a battery into a fire. Reference page numbers are indicated in parentheses. In the text, camera controls are indicated by their respective icons. (8 Hz) when not achieved. the < > switch is set to < >. there is a related Custom Function. and < > indicates the Quick Control Dial switch. the icon or marking can be found in “Nomenclature” on page 9. Reference page numbers are also stated in parentheses. strap to make sure it does not slip out of the clasp. user, read this chapter first. • Focus is achieved with manual focus. When a button is pressed, its function turns on for 6 or 16 seconds. ( 6 ): The button’s function remains active for 6 seconds after the button is released. ( 16 ): The button’s function remains active for 16 seconds after the button is released. 2 Slide the grip downward to remove. going on a trip or when you will use many rolls of film. 1 Set the < > switch to < >. 4: (No display): Replace with new battery. obtained as long as the shutter releases to take a picture. battery power even if no pictures are taken. as shown by the arrow. on older lenses, autofocus will not operate. until it stops. Then remove the lens. and another finger to slide down the lever. your fingers or the film. the frame counter on the LCD panel. See page 112.
you are ready to load the film. range from ISO 25 to 5000.
infrared film below the picture area. display a film speed from 6 to 6400. Custom Function CF-1 can alter the rewind speed and method. See page 106. Function CF-2 can leave out the film leader after film rewind. See page 108.
easy to compose and capture a variety of subjects. The Program AE mode is set automatically as the camera’s initial shooting mode. the viewfinder lights in green ●. has been selected manually (see page 38), it lights dimly while it is active for ( 6 ). If the shutter speed or aperture blinks, it means a standard exposure cannot be obtained. “Exposure Warning List” on page 130. • Firmly grasp the camera grip with your right hand. • Hold the lens with your left hand. By attaching a dioptric adjustment lens on the viewfinder eyepiece, nearor far-sighted users can look through the viewfinder without eyeglasses. • The EOS-3 is compatible with Ed-series dioptric adjustment lenses. Select the AF mode which suits the subject. the viewfinder lights at the same time. beeper also sounds when focus is achieved. occurs, a picture cannot be taken even if the shutter button is pressed completely. Reframe the shot and focus again. Also see “Manual Focusing” on page 52.
beeper does not sound even when focus is achieved. • If the viewfinder’s in-focus indicator blinks, focus cannot be achieved. < > button even while the AI Servo AF is active. See page 108.
point to track the subject in the AI Servo AF mode. See page 116. You select one of the 45 focusing points manually. You select a focusing point by looking at it in the area AF ellipse. • The current focusing point lights. toward the top or bottom. manual focusing point selection. See page 120.
selection ↔ Left ↔ Center ↔ Right ↔ Automatic selection. • This loop applies to all focusing point rows. > dial to select an upper or lower focusing point.
) to single ( ) focusing point(s). • This loop applies to all focusing point columns. be turned to select a focusing point toward the top or bottom. Custom Function CF-10 can prevent or limit the lighting up of the focusing point. One-Shot AF” on page 47. Eye-Control AF works in both horizontal and vertical camera orientations. • When you want to achieve focus instantly at the desired point. • When you want to change the focusing point instantly. a sound. This is completely normal. are looking in the viewfinder. eye and channel 2 for when you wear eyeglasses or contact lenses. Channel 3 can be used to store calibration data for another user. • Keep your eye on the viewfinder eyepiece until you complete the calibration procedure. be displayed. A blinking channel No. to (4) in the figures. then press the shutter button. the focusing point turns off. will start blinking. Repeat step 4. • Focusing point (5) will start blinking. • The viewfinder display returns to normal. • Calibration may not be possible if you wear mirror-type sunglasses. calibration data. See page 46. • Relax your shoulders and hold the camera steady in a natural posture. • Align your line of sight with the center of the viewfinder. • Instead of looking at the blinking focusing point itself, look at the point beyond it. CAL is an abbreviation for calibration. register new calibration data by following the calibration procedure. has not been completed, the CAL No. 3 Set the < > switch to < >. 4 Select the shooting mode. and the CAL No. will be displayed. blink and the camera will switch to automatic focusing point selection. See page 38.
calibration, the CAL No. will blink. eye during continuous focusing (while the shutter button is pressed halfway). focusing point selection. See page 38.
procedure below. This technique is called focus lock. • Focus lock works only in the One-Shot AF mode. See page 35.
exposure metering is linked to the focusing point. lines to enhance AF precision. center focusing point which works as a cross sensor. Extremely backlit or reflective subjects. focusing point will light together with the in-focus indicator. focusing point flashes and the in-focus indicator lights when focus is achieved. USM (Ultrasonic Motor) lenses having a distance scale. M) before manual focus is enabled. See page 112.
achieve focus as readily as the center focusing point. When it is difficult to autofocus, focus manually as described below. subject is in focus in the viewfinder. focusing points to only 11 of the 45.
to only 11 of the 45 and keep the spot metering at the center. See page 118.
the < > indicator displayed in the viewfinder. The following procedure is for taking the sample photo below. 1. After a spot meter reading is taken, 16 seconds elapse. 3. After taking the picture, you release the shutter button. button to try and take a ninth spot meter reading, no spot meter reading will register. Multi-spot metering can be fixed at the center or linked to the active focusing point. Tv is an abbreviation for Time value. standard exposure will be obtained. 30 sec. to 1/8000 sec. and bulb. slower shutter speed. This feature is called safety shift. increments instead of the standard 1/3-stop increments. See page 112.
shutter speed automatically to suit the subject brightness. Av is an abbreviation for Aperture value. may cause a blurred picture. F-number, the smaller the aperture. smaller aperture. This feature is called safety shift. the camera even while the lens is detached. See page 110. DEP appears on the LCD panel. 4 Select the focusing point. the aperture will be displayed. Point” while using the center focusing point to set the DEP points. settings will be canceled and you will have to start over. point. This is the easiest way. • The focusing point you looked at will light. from the subject and repeat steps 4 to 6.
over with the newly selected focusing point. same as using Program AE with flash. EF 300mm f/2.8 lens), set the switch to the maximum focusing distance range. button, or < > button. subject stand out. Using a telephoto lens enhances this effect. > dial to set the aperture. stops or half stops instead of the standard 1/3 stops. See page 112.
has been detached. See page 110.
the < > switch to < >. indicator on the LCD panel. position below it indicates underexposure. half-stop increments. See page 112.
is set to < >. set the < > switch to < >. “Switching the Film Advance Mode” on page 85). compensation scale on the LCD panel. advance mode will be used. Bracketing amount set to ±1 stop. shooting will then stop automatically. succession after the 2- or 10-second selftimer delay. < > switch to < >. Custom Function CF-6 enables the AEB amount to be set in half-stop increments. standard exposure, and overexposure. See page 114.
for backlit and spotlighted subjects. to lock the meter reading. panel and in the viewfinder. locks the current exposure setting. < > button) pressed halfway and focusing with the < > button. See page 108.
to focus will automatically set AE lock at the same time. load the film and set the ISO film speed manually. speed will then be set. The manually-set film speed will be canceled the next time DX-coded film loaded. exposures can be taken in any shooting mode. may not align exactly due to film advance characteristics. number of multiple exposures to 1.
follow steps 1 and 2 and set the number of multiple exposures blank. necessary for capturing night scenes, fireworks, and the night sky. counter reads “30,” it means 120 seconds have elapsed. • Bulb exposures consume almost no battery power. terminal relieves your finger from pressing the shutter button during bulb exposures. for the next time you start shooting. 3 Release the two buttons. battery power (see page 22) and follow the respective countermeasures. • In cold temperatures, warm the battery in your pocket, etc., to enable use. camera shake (camera movement while the shutter button is pressed). self-timer. Doing so will throw off the focus. eyepiece before taking the picture. Mirror lockup is enabled with Custom Function CF-12 (see page 116). Function, see “Setting and Canceling Custom Functions” on page 104. • When using mirror lockup, Remote Switch RS-80N3 (sold separately) is recommended. ly. The mirror locks up. scorch and damage the shutter curtains. seconds later (depending on the delay time selected). • Pressing any button while the LCD panel is illuminated prolongs the illumination. • The illumination turns off at the start of a bulb exposure. Speedlite, E-TTL autoflash photography as well as wireless E-TTL multiflash photography is possible. Instructions that come with it. speeds from 30 sec. to 1/8000 sec. flash equivalent of AE lock. flash output up to ±3 stops in 1/3-stop increments. Speedlite directly attached to the camera. E-TTL is an abbreviation for Evaluative-Through-The-Lens. automatically. The beam is linked to the area AF. and aperture, then take the picture. are set by the camera as usual. metering based on the aperture setting is used for the flash exposure. synchronize at all shutter speeds, even those faster than 1/200 sec. reading for the desired portion of the scene. is then stored in memory. to the FE lock flashes in red. closer to the subject and follow steps 3 and 4. Custom Function CF-13 enables FE lock with the manually-selected or eyeselected focusing point. See page 118.
compensation with the camera up to ±3 stops in 1/3-stop increments. on the viewfinder’s exposure level scale. in half-stop increments. See page 112.
for the subject up to ±3 stops in 1/3-stop increments. • Flash exposure bracketing is set with the 550EX. For details, see the 550EX’s Instructions. effects produced by the flash or multiple flash units. between the Speedlites to create the desired flash lighting effect. • For details, see the 550EX and ST-E2's Instructions. controlled by off-the-film flash metering linked to the focusing point. aperture are set automatically by the camera. based on the aperture setting is used for the flash exposure. Flash exposure compensation can be set with the camera. If the multi-flash system is wired with flash cords, TTL autoflash takes effect. Cover the main subject with the area AF ellipse. output is reduced automatically to avoid having an unnatural-looking exposure. This is called automatic reduction of flash output. The camera’s PC terminal is provided for flash units using a sync cord. The PC terminal is threaded to prevent inadvertent disconnection. Only Xsync is used for synchronization at 1/200 sec. or slower. terminal can be used at the same time. long as the depth of field in front of the plane of optimum focus. Taken with an f/22 aperture. Taken with an f/2 aperture. 2 seconds. See page 133.
and CF-14 have been altered. numerical order up to CF-17. to suit the focusing screen installed in the camera. Custom Functions CF-1 to CF-17 can be set to suit your preferences. Setting for focusing screen Ec-N or Ec-R ( N : New Lasermatte Screen). Settings 1 and 3 are ideal when film rewind noise would be disturbing. Rewinds the film leader into the cartridge. • AE lock with the < > button. lock) with the < > button. halfway executes AE operation only). This is convenient if you develop the film yourself. the shutter with the camera back open. This is effective if you want to set the film speed yourself. You can be relieved from setting the film speed each time you load film. off the AF. The exposure is set at the moment of exposure. correctly and all you do is wait for the right moment to capture the shot. > and < > dials. the shutter speed can be fixed while only the aperture is shifted for AEB. you can still set the aperture with the camera(s) not attached to the lens. This function is mainly for pro photographer assistants. The frame counter counts up. This is suited for slide films which have a narrow exposure latitude. Suited for negative films which have a wide exposure latitude. focusing ring after One-Shot AF. before AF operation. However, this is disabled with this setting. focus switch to MF (or M) to focus manually. You can see how many frames are left in the roll. button halfway after focus is achieved. No flashing after focus is achieved. You can keep taking AEB shots in this sequence. This applies during manual focusing point selection and Eye-Control AF. light dimly after focus is achieved. If the flashing of the focusing point is annoying, you can disable it. This makes the focusing point easier to see even in bright light. > dial and/or < > dial. point on the top or bottom. left or right focusing point. No mirror lockup (normal position). (during manual exposure) the same as with the EOS-1. the extreme left or right focusing point. when you want to switch quickly to automatic focusing point selection. • Spot metering is always at the center. Links spot metering to the focusing point. manually or by Eye Control. immediately before the shutter closes. when you want to maintain the framing of the subject. Compared to setting 0, this setting makes focusing point selection faster. Natural-looking fill-in flash effects are obtained automatically. for second-curtain synchronization, it will override the C.Fn-15’s setting. feature is convenient when the scene’s brightness changes suddenly. O: Electronic manual focusing enabled. ×: Electronic manual focusing disabled. 1 No auto film rewind. 4 Leave out film leader after rewind. 5 Set film speed manually. 6 Display remaining frame No. 1 No AF operation with halfway pressing of shutter button. 2 Autofocus with a button other than the shutter button. 3 Separate metering and autofocusing operations. 4 Enable AF lock in AI Servo AF mode. allow the shutter button to only release the shutter. 8 Disable focusing point flashing. 0 Make focusing point flashing brighter. the < > dial alone. exposure compensation) increments to half stops. interchanged or when film is replaced. 7 Link spot metering to the focusing point. 8 Enable faster focusing point selection. q Set second-curtain flash synchronization. e Enable flash exposure bracketing with studio flash. better. It gives reference information and introduces system accessories. Center. Canon Service Centers are listed on the back of this booklet. > switch is not on. been set to MF (or M). been set to 1 or 3. Set Custom Function CF-4 to 0. Replace the film with a new roll. “Manual Focusing “ on page 52. Battery power is very low. Set a slower shutter speed. Set a faster shutter speed. AE (P) mode with an EF 50mm f/1.4 USM lens. AE mode sets automatically for the respective EV. sec. Also, 0”3 is 0.3 sec., and 15” is 15 sec. or half-stop increments. See page 112.
standard exposure standard suits the focusing screen. not change Custom Function CF-0’s setting. Suited for photomicrography and astrophotography. camera attached with a lens. shooting speed of about 7 frames per second. compatible with the EOS-1N and EOS-1. about 6 frames per second. It has a verticalgrip shutter button and AE lock button. shooting speed is the same as a plain EOS-3. of 36-exposure film at 20˚C. runs on 100 - 240 VAC. meters indoors and 8 to 10 meters outdoors. year; and Day, month, year. completely. It also has a shutter release lock. Wireless controller effective up to 100 meters. wireless controller features as the LC-3. will be required to connect such accessories. Interchangeable (9 types), Standard focusing screen: Ec-N.
1 Reverse highlight with FE lock, 1 FEB amount), Multispot metering, frame counter. shooting mode regardless the film advance mode. compensation button and Main Dial. evaluative metering when focus is achieved. (1) One-Shot AF: Autofocus stops when focus is achieved. at 8 Hz only if AF fails). lens focus mode is set to MF (or M). Lights in viewfinder (●) and beeps. (Beeper can be disabled.). (1) Automatic selection: Focusing point camera-selected. (3) Eye-Control selection: Focusing point eye-selected. 30 to 1/8000 sec. in 1/3-stops, X-sync at 1/200 sec. automatically, taking about 1 sec. Approx. 4.5 sec. for 24-ex. film and approx. 6.5 sec. for 36-ex. shutter speed, aperture, frame counter, and battery level. Quick-lock, three-pin remote control connector provided. (1) One 2CR5 lithium battery housed in the camera grip. four levels on LCD panel. 6.3 (W) × 4.7 (H) × 2.8 (D) in. • All data are based on Canon’s Standard Test Method. • A sticker is provided for the Custom Functions. Affix it to the side door on the inside. • For details on CustomFunctions, see pages 106 to 121 .